Today we’d like to introduce you to Bora Chiemruom. At the core of my story is my community, the people of Lowell. I came to the United States as a Khmer (Cambodian) refugee and settled in Chicago, Illinois in 1981. But I grew up in the Acre neighborhood of Lowell since 1987. My first professional job was at the Cambodian Mutual Assistance Association of Lowell. I’ve spent the last 20 years working in non-profits in Lowell and Boston. I became the first Cambodian American selected to be Executive Director of the Commonwealth Massachusetts Asian American Commission. Even there, I felt I wanted to do more and have the freedom to do it my way. About two years ago my daughter attended her high school prom. I couldn’t believe the amount of money we had to spent on her prom dress. I thought of my community and what that meant for those who are less fortunate. Having grown up very poor with very little resources and even wore a cheap not so pretty prom dress to my own prom, I felt out of place. I thought there must be something I can do about it? I’m a firm believer in being prepared, so I turned to Entrepreneur for ALL (EforAll) and the City of Lowell for tools and resources. 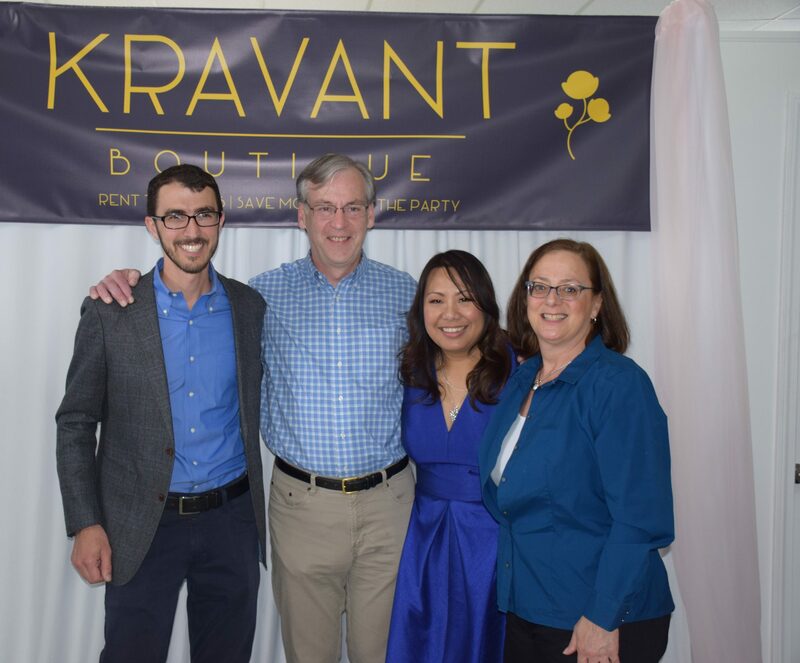 After completing a comprehensive Accelerator Program at EforAll and with wonderful support from three incredible mentors (Hugh Kelly, Gail Goodman, Matteo Forgione), we launched Kravant Boutique on Saturday, May 12, 2018. It has been quite an experience. My goal is to inspire and to support a new attitude toward a more practical, socially-conscious and financially sound way of dressing up and looking good. I believe that we can create a movement that renting, and consignment will benefit the community. I want everyone to feel confident, beautiful, and fit in regardless of their sizes or financial situations. I also want the boutique to be a catalyst for the community to come together. In this short time since the opening, we hosted many small events. We are working with local non-profits, entrepreneurs, artists, blogger, and freelance make-up artist. Many more collaborations are in the works. It was a difficult decision to step down from my position and take the journey to become an entrepreneur in my own small business. Sometimes I worry if I’ve made the right decision for myself and my family. But my desire to succeed and to help my community are the driving force and motivator for me to continue. Being a startup, our biggest challenge is getting the words out. It has not been easy trying to convince the community to accept new concepts. The Khmer community is not accustomed to renting and don’t quite understand consignment. We have to inform and educate. That is where my background in non-profit has been useful. I understand everything takes time, and I’m truly blessed to have the wonderful support of a very understanding husband, who has been my biggest champion from the beginning. It’s been a challenging road but with the support of incredible family, friends, EforALL, City of Lowell, and community. I’m positive we will be powerful, impactful and successful, in the ways we defined success. Kravant Boutique – what should we know? What do you guys do best? What sets you apart from the competition? 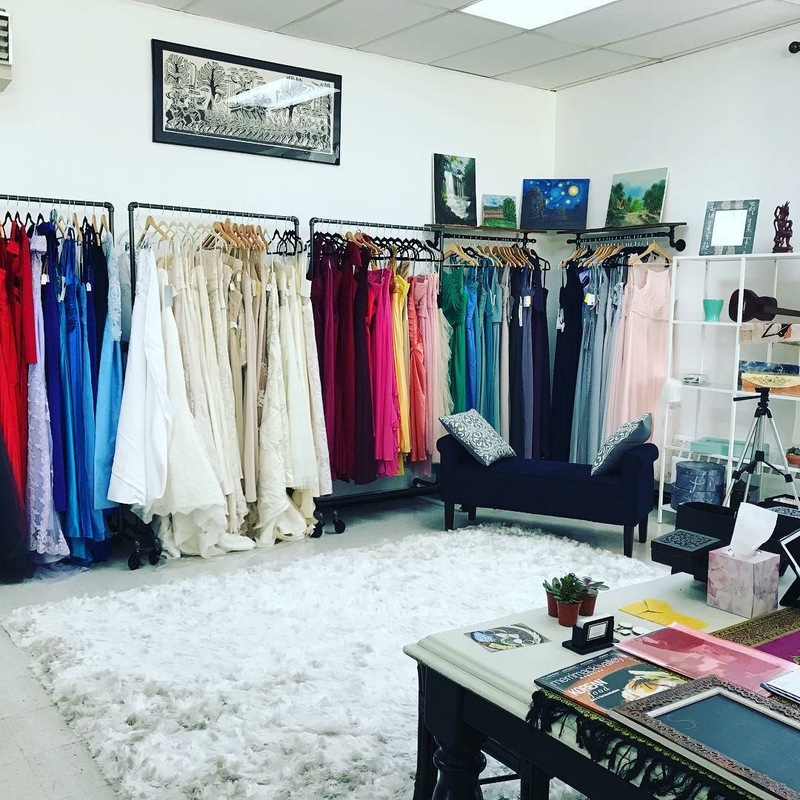 Kravant Boutique is a boutique that specializes in renting and consignment of formal gowns and dresses. We offer a relaxed, comfortable, and fun shopping experience. Our customers have the options to buy, rent, and consign. 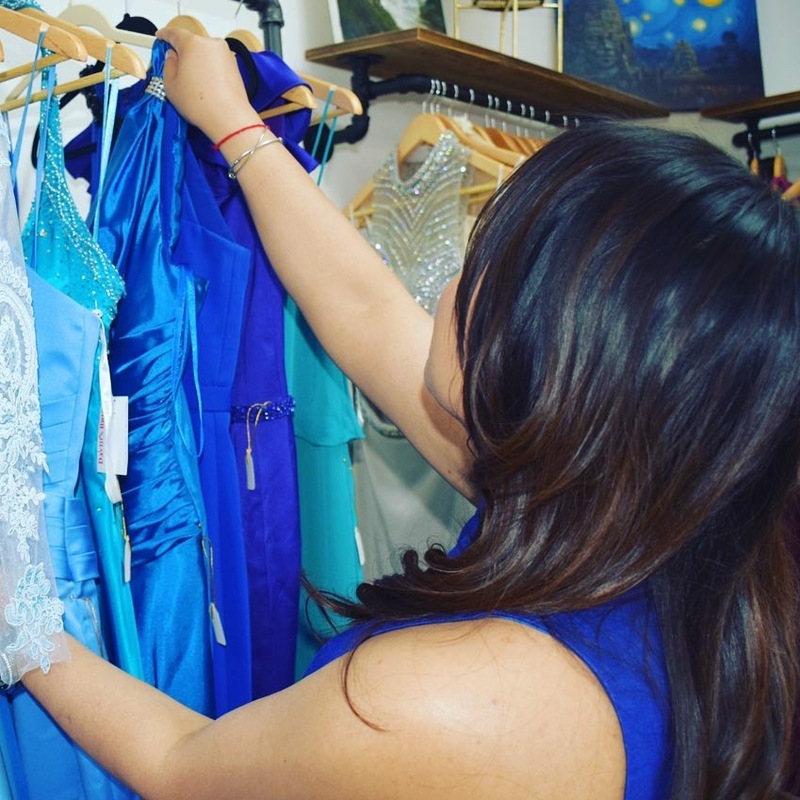 When you shop and rent at Kravant Boutique, you are giving back to your community, especially young women. Our rental starts at $50, depending on the intricacy of the dresses. We offer a 5-day rental. You can have the dresses up to 7 days with special arrangements. 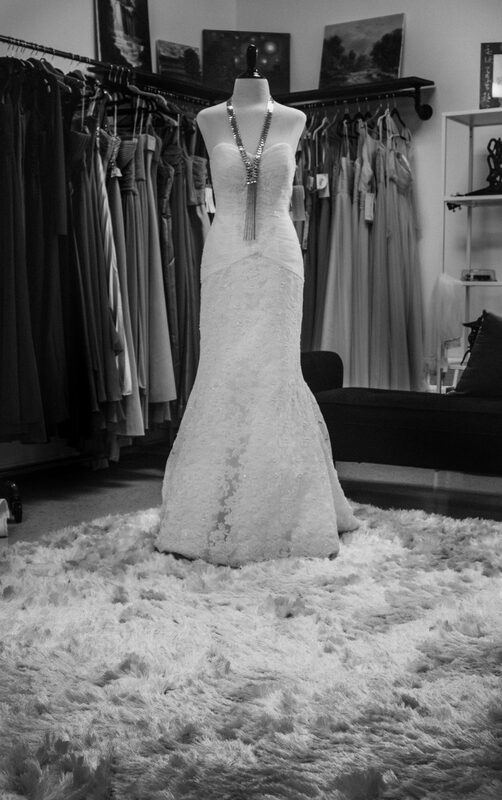 We will not charge more than $125 on any given dresses, including wedding dresses. Our other services include an in-house freelance make-up artist (optional). We host different events throughout the months, “Red Carpet Ready” for Gala(s), Dresses and Lashes, Dress Swap Thursdays, just to name a few! We also rent out the boutique for private shopping events and experiences. 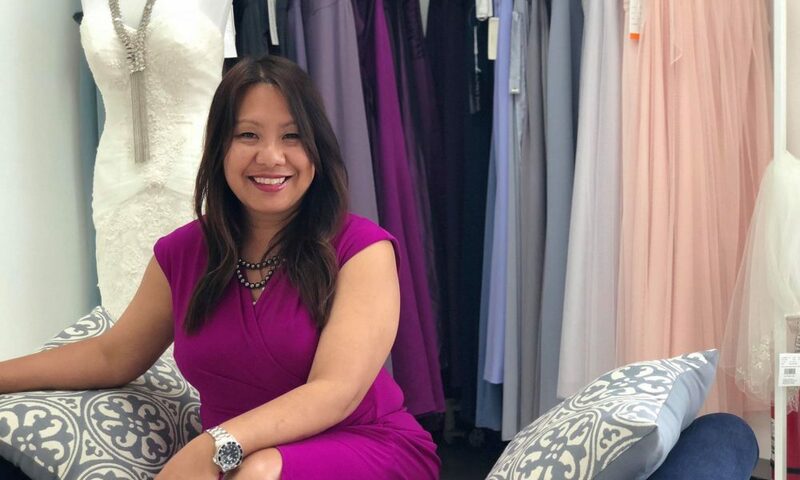 We are the first and only Khmer woman-owned rental and consignment boutique in the city of Lowell. I’m very proud that we are a social enterprise. 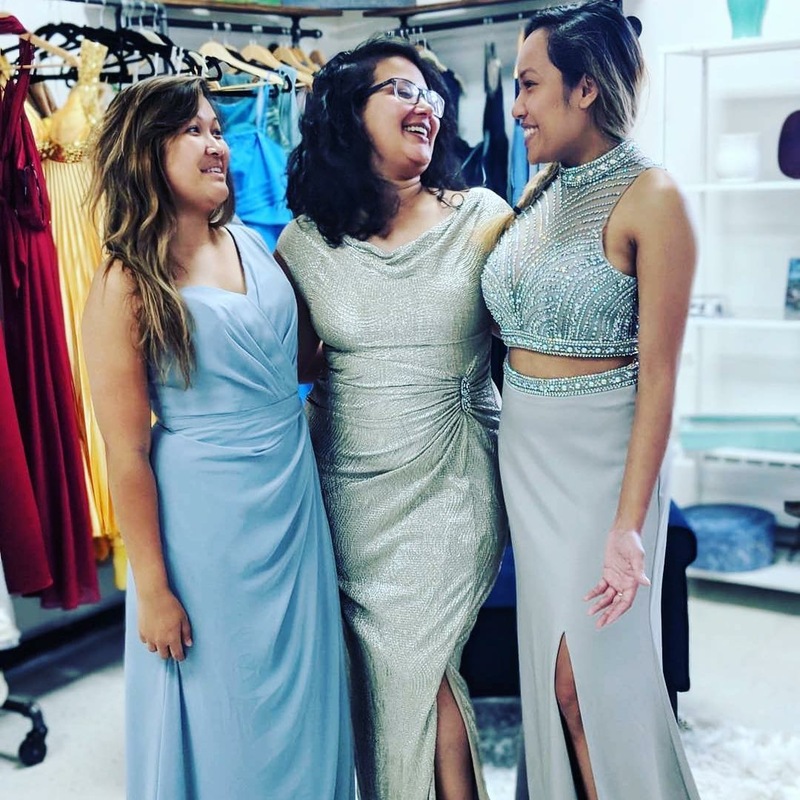 We work with local non-profits to lend dresses to under-resourced young women in the community who can’t afford to pay the rental fee. The young women are only required to pay the cost of dry cleaning ($15-$20). I’m driven by our social responsibility mission. I do this because I want to, and I feel that giving back is my purpose. I have also been approached to seriously consider offering “glam day photoshoots” to cancer patients during our off days, (closed Sunday to Tuesday). We are looking for wonderful photographers, make-up artists, and hairdressers who are willing to volunteer their times for this project. Cancer patients go through so much, I think it would be amazing to have them see their beauty inside and out. This is what makes us unique and set us apart from others. We are and will continue to be the catalyst for the community to come together to do good. Ultimately, I want to create jobs for young people and to support young people to be socially, financially, and environmentally responsible. I think in so many ways we are already very successful. I’ve received genuine gratitude from community members and community leaders for opening this unique boutique. I’ve gotten emails, requests, and suggestions on services and collaborations. Strangers have emailed and thanked me for what I’m trying to accomplished. And when I see the community come together to just support a woman and make her day, that’s a huge success.